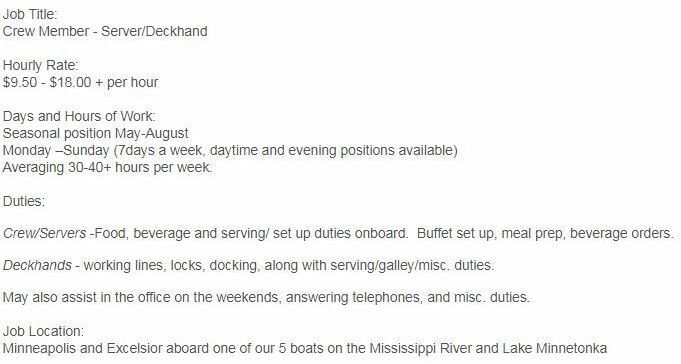 If applying for Crew Member / Server position, please submit a completed application to Denise@twincitiescruises.com. Questions, Call Denise at 612-961-6698. If applying for the Event Coordinator position, please submit a completed application to Deanna@twincitiescruises.com. Questions? Call Deanna at 952.474.8058.